When I had to decide whether to enter this summer’s Banbury Run or head back across the Channel to Luc Sur Mer for the annual weekend bash at less than half the price, I chose the latter, partly because this also meant I’d be on the right side of the Channel to continue down to Provence for the annual five-day event run by the Moto Club Senas as part of team Classic Bike Esprit, writes Ian Kerr. 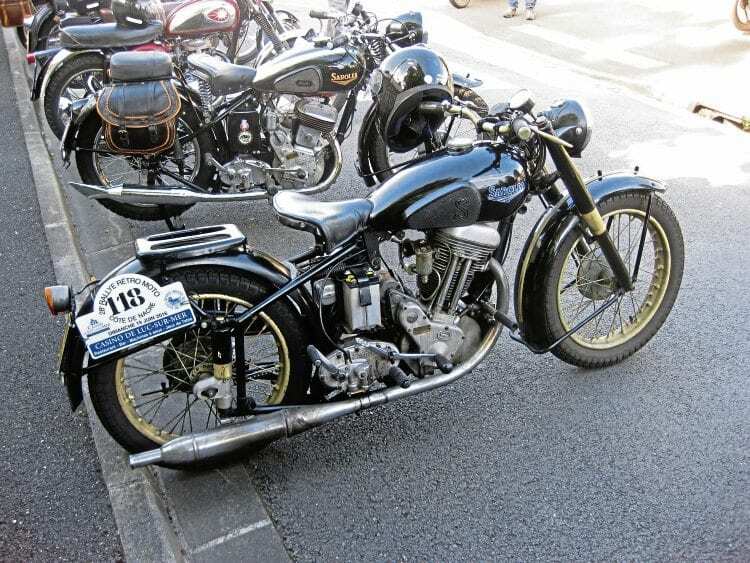 The beauty of continental classic bike events is that you come across gems like these two Belgian Sarolea motorcycles nearest the camera, the first looking distinctly Panther-like. The van was loaded with two bikes from different eligible age groups, and thanks to the excellent Brittany Ferries service to Caen, I was deposited close to the centre of the action along with numerous other classic bike fans. The event starts on the Saturday, with a small autojumble and get-together, but the main part comes on the Sunday, with an escorted ride through wonderful French scenery.